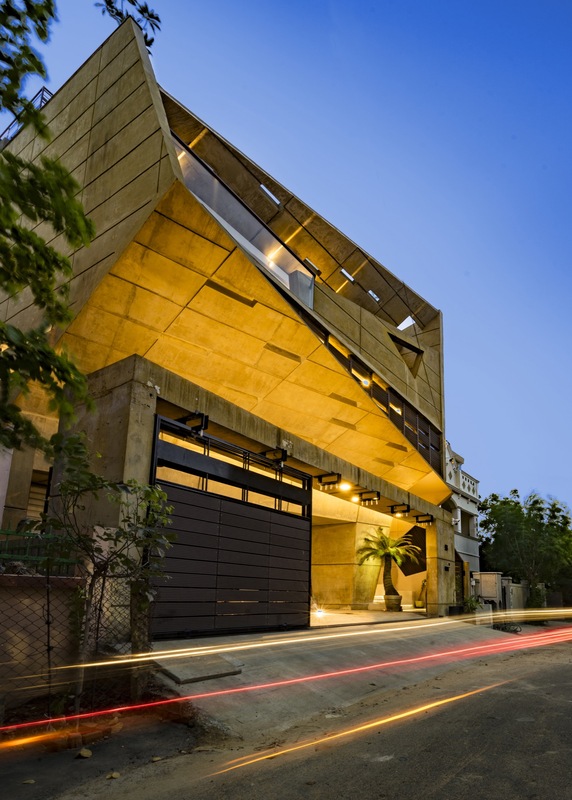 Ramesh Residence at Chennai by Murali Murugan Arhcitects | ArchitectureLive! A family of six, with three generations comprising of grandparents, parents and the kids, resulting in design variations in every aspect. The idea since inception has always been to keep the connection between the generations alive now and in future. We’re lucky to work with this client who is willing to push the envelope, raise the bar, and challenge us to think even more creatively. For that, we’re grateful. Nothing with shape and dimensions can keep still, when passions move. The abstract concept was to open up living spaces into large open courts which are of double height in nature and could offer connectivity between levels preventing social isolation with the family. A new fangled approach on the interaction of young adults was experimented in the “millennial space”. Small windows seamlessly disappears into the paneled ceiling. Though we strived towards making the bedroom restful and relaxing, the master bedroom also had to speak to the varied artistic interests of the owners. Subtle colours , neutral creams and grays are made predominant.. 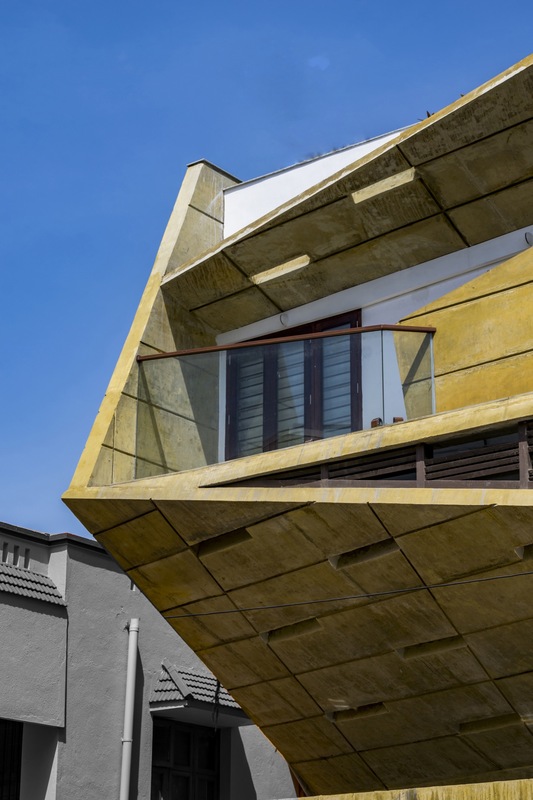 The objective was to create a slight difference in the configuration of various aspects of the design offers a degree of spatial and perspective diversity in the interior and exterior spaces within the confines of conventional wood framing, exposed brickwork and yellow pigmented concrete. Pebble courts are set to let in pools of natural light in the restrooms. The large parking space for 4 cars is a makeshift party space for the young adults and family get-together. Rooms are layered with a mix of overhead lighting, table lamps, floor lamps and wall sconces. Add dimmers for welcoming ambience everywhere from dining rooms to kitchens and the powder room.the kund spaces and the atrium spaces brings the nature in. A blend of foliage with the exposed yellow pigmented can add vitality to any room in your house.concrete and exposed bricks bathing in natural sunlight creates the ambience of serenity. It’s amazing how even a little bit of live greenery. We feel thankful to Mr.Ramesh, his wife and his sons Adhithya & Aarya. Also we thank to contractor Srikanth. And our sincere thanks to Binsan Oommen. Rest of the interiors will follow soon.